Before we discuss about the treatment options available to replace missing teeth, let me explain to you about the reasons why we need to replace them. What are the reasons we need to replace missing teeth? 1) For aesthetic purpose, to restore appearance and to create a youthful and better smile. Although not everyone has perfect teeth, but I am sure that most of us prefer to have a smile without gaps in between our teeth. 2) Another good reason to restore missing teeth is to enhance mastication/ chewing process thus allow patients to enjoy more variety of food. 3) We replace lost teeth to restore speech quality. People who have several missing teeth especially front teeth will have difficulty in pronouncing words especially those with “f” and “v”. Hence, improve your pronunciation of certain words and regain the confidence while you are communicating with people. 4) Replace lost teeth is also part of a process to prevent drifting of other natural teeth which may cause unequal contacts between upper, lower teeth and leads to difficulty in chewing. Is it a must to replace teeth? Yes, if there are more advantages than disadvantages in doing it. Please discuss with your dental surgeon regarding this issue and allow him to judge and weigh the risk from replacing the missing teeth. As we know denture is plaque accumulative and certain maintenance of oral hygiene is required to prevent more dental problems etc caries, inflammation from rising. 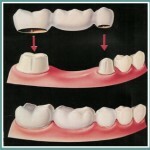 Why and in what conditions we do not need to replace missing teeth? Shortened dental arch is an evidence based treatment option referring to those who have not less than 20 teeth and 9 to 10 opposing teeth. It is an option for those cannot tolerate the feeling of wearing a denture and those who cannot afford a denture. In order to go for this treatment option, patients should have minimal dental problems, able to maintain good oral hygiene, and have good prognosis for their remaining teeth. Requires strong support from adjacent teeth .Dental bridges are indeed another good but more expensive option to replace missing teeth. Most of the patients prefer to have dental bridge on, as it easier to adapt to compare to removable partial denture and interfere less with plaque control. 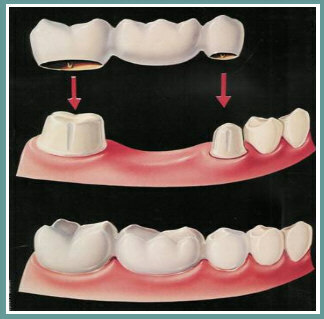 Construction of dental bridge a more invasive procedure than a removable partial denture as it involves removal of certain amount of tooth structure. 3) Modify edentulous space using orthodontic appliance. There might be insufficient space to place a prosthesis be it a fixed or removable partial denture due to drifting/migration of our natural teeth. Some people may not prefer this option as it will be troublesome to wear orthodontic appliance for a period of time. 4) Implant supported prosthesis- Expensive and prognosis of implant depends on bone quality and quantity. – When there’s lack of good adjacent teeth as abutments to support bridge. – Removable partial denture is a cheaper option compared to fixed partial denture and dental implants. -Removable partial denture is less destructive compared to fixed partial denture which requires trimming down of certain amount of tooth structure.